I am so inspired to fight alongside you as we work to win back the majority. There is nothing more important than returning bold Democratic leadership to Congress. With that in mind, I’m excited to announce that I am seeking the position of House Democratic Caucus Chair for the 116th Congress. My candidacy is based on three deeply held beliefs. The strength of our caucus lies in our diversity of experiences and ideas. Whether it’s working across the aisle to enact HIV/AIDS laws, or bringing the Sanders and Clinton campaigns together behind a cohesive and progressive Democratic Platform, my career has been dedicated to finding common ground and delivering results. Over the years, I have fought to lift families out of poverty and empower everyday people. As your Caucus Chair, I will ensure that we hear every view, respect every member, and welcome every voice. Our caucus is at its best when everyone has an opportunity to contribute and collaborate. My top priority will be offering new ways to engage all members. I will provide robust member services to empower everyone in our caucus and develop more forums to showcase your innovative work. It is important to me to build on Chairman Crowley’s work equipping all offices with the cutting-edge, creative tools — and especially digital resources — to engage directly with constituents. Our caucus has the talent and the vision to improve the lives of all people. We must shine a light on our greatest strengths: our members, our Democratic energy and compassion, and the agenda that reflects our collective vision. I look forward to listening to your ideas, answering your questions and working to earn your vote. By putting people first, we will regain the majority and strengthen it for the future. It is an honor to fight this battle together. 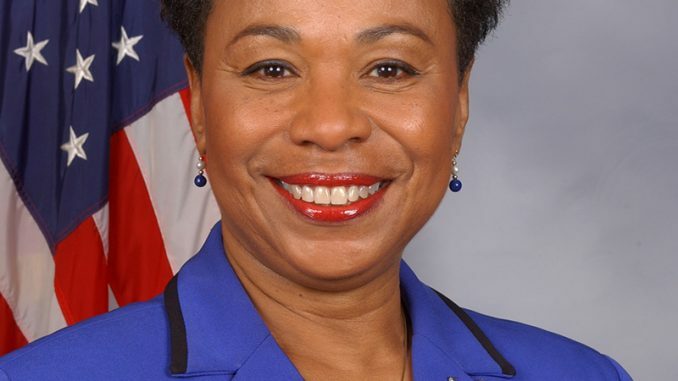 Congresswoman Lee is a member of the Budget and Appropriations Committees, Vice Chair of the Steering & Policy Committee, Co-Chair of the Pro-Choice Caucus, former chair of the Congressional Black Caucus, former co-chair of the Progressive Caucus, and a Senior Democratic Whip. She also serves as chair of the Democratic Whip Task Force on Poverty.